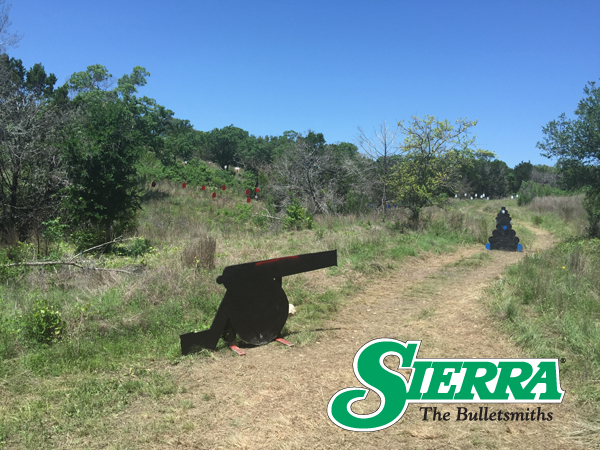 I had the pleasure of attending the X-Treme Bullets Texas 3 Gun Championship at the Copperhead Creek Shooting Club near Marble Falls, Texas, April 24 thru the 26th. Sierra Bullets was an associate sponsor, so I had a slot for the match and squadded up with what we call, “The Sierra Squad” plus several other really nice 3 gunners. The “Sierra Squad” is a group of my friends from across the US that I have shot with for many years around the country. We usually wear matching shirts, unless someone forgets to bring that color. We have a variety of personal backgrounds. There is myself, a 23 year employee of Sierra Bullets; a retired police chief from Seminole, Texas; a retired Border Patrol officer from Artesia, NM; a blacksmith from Midland, Texas; another blacksmith from Tuscola, Texas; and a retired police officer from Marion, Illinois and his wife, who is also a retired police officer. She always rides herd over the crew and keeps us in line and plus in the correct shooting order. (She also brings glasses to the restaurants when we go out of evenings so we can all read the menu.) **See a special note we received from a guest on the “Sierra Squad” below. A little side story on her and glasses. I was the the USPSA Multi Gun Nationals at the Clark Range in Princeton, La. I was always having to borrow glasses at restaurants, so she brought me a bag full of glasses she had gotten at Dollar General for $1 a pair. She just tossed them into the back of the Sierra Mobile as I was leaving headed back to Missouri. I had been driving an hour or so and all of a sudden I could hear music. I thought the radio was off and I turned it on and off and could still hear music. There was a car about 300 yards in front of me and I thought they must really have their radio blaring. My phone rang and it was her and she was laughing and asked if I had heard music. I said yes, wondering how she knew? She said she had left her phone in the bag with the glasses and that was her ring tone. The glasses it turned out, all had left side ear pieces on them, so I had to deep six them. The night before the X-Treme Bullets Texas 3 Gun Championship started, there was a Friends of NRA banquet in Marble Falls, and since Sierra had donated bullets to it, I decided to go, since I was there anyway. A friend of mine in Marble Falls wanted me to go. He bought the bullets Sierra donated. It started to rain late that night after the banquet and up until 8:30 the next morning. The start of the match was postponed a little, but when it stopped raining at 8:30 we started shooting. It was a muddy mess. I actually started wondering if it was really fun anymore and I heard others mention the same thing. We managed to survive the day and we shot in the afternoon the next day, so it had already dried up and we had dust, which is typical of much of Texas. We finished shooting on Sunday and got thru the excellent prize table, but bad weather was brewing. The first shooting position of 3 in a rifle only stage at the Texas 3 Gun match. You had to be touching the prop and could only shoot targets that were the color of the prop. The second of the 3 shooting positions. The 3rd position. If the white target was shot from that position, it was a match DQ. 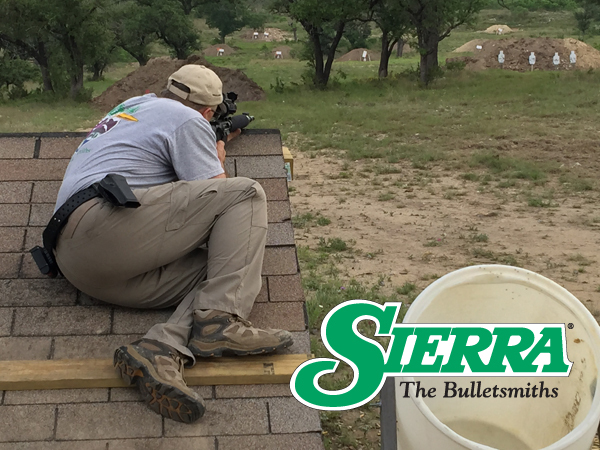 Vance Schmid shooting the rifle portion of a stage from a rooftop. As I headed home, I started noticing cars pulled to the side of the road with people out with cameras and binoculars. The farther I went, the more people were pulled over and then there were TV camera crews. I called my wife to see what was going on. I told her where I was and she said I was in the middle of a tornado alert and that one had been spotted. I kept driving, hoping I would miss it. Then I started meeting the tornado chasers with their lights flashing and flying low. My hope was that they were going to it not running from it. Other than about 10 minutes of hard rain and some strong wind, I made it to Dennison, Texas where I spent the night. I turned on the news and saw where they had baseball size hail, so I was glad I had kept moving. Now if I can just make it to Wyoming in June without getting in a tornado or flood like I have for the last 5 or 6 years. See you all on the range, someplace-somewhere! 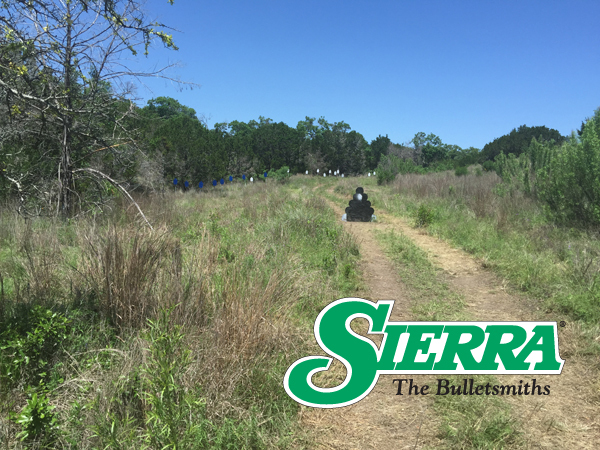 I would like to comment on my personal experience with Sierra Bullets in a way you might not hear. 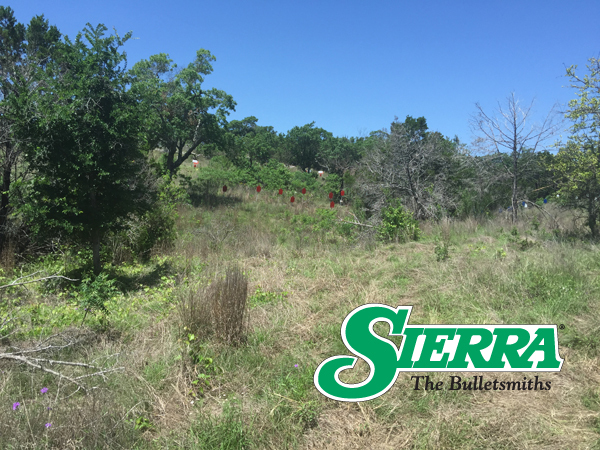 I just got done shooting the 2015 Extreme Bullets Texas 3 Gun Championship. I was squadded with a group of gentlemen that were wearing the Sierra Bullets green shirts. Most of these gentlemen would be called old I guess, although not by me as I’m 53 years old myself and had trouble keeping up with any of them. One of the gentlemen was Carroll Pilant who I learned is in your employ. I can’t say enough times that I have never shot with a better bunch of squad mates. Everyone was helpful, courteous, knowledgeable, a great shooter, the list could go on and on. I hope to represent all things good as well as those gentlemen did to me this last weekend. Now you may say why I am writing this letter? Two reasons one to thank Carroll again for all the help he gave me and for being such a fine companion those three days. Please pass on to Carroll my thanks. The other reason is really the key here. As I said I’m 53 years old been shooting as much as a boy growing up in upstate NY could. I moved to the Gulf coast in 1985 to work in the oilfield where I remain employed. I have been shooting competitively for about 2 years. I just got a brand new Dillon 650. I will be loading for my rifles and I WILL be loading Sierra Bullets. My thinking is: If a group of shooters as fine as those gentlemen choose your bullets to use I don’t need to look any farther for my rifle bullet needs. I’d say you hit your demographic market with a bull’s eye there! I know as a company it is a big cost outlay to support the shooting sports and sometimes those costs seem high for your perceived return. In this case your support of those fine gentlemen earned you a customer for life. I just wanted to pass on my experience with your company at the match and help you see the adage win on Sunday sell on Monday holds true in all its variations. Aside | This entry was posted in Competitive Shooting and tagged 3-Gun, 3-gun competition, bad weather, Texas 3 gun, the Sierra Squad, TX 3 gun. Bookmark the permalink.